EDIT: This contest is now over! Congrats to Splashgaming, Jak Constantine, and Steecki for winning the bundles! Thank you to everyone who took the time to read and enter the contest! The MvG community has been quite generous to one another over the course of these last 10 months. Due to the rise of Steam, being able to gift games to your friends has never been easier. This contest is the next game giveaway in the line of MvG’s history of viewer giveaways. Be sure to enter for your chance to win (and good luck)! The Humble Indie Bundles or Humble Bundles are a series of game bundling experiments that allowed users to purchase collections of multi-platform DRM-free independently developed video games online in a “pay-what-you-want” manner, with proceeds bypassing middlemen and going directly to the indie developers and charities. The bundles, organized and managed by Wolfire Games, were available for purchase during limited time frames in 2010 and 2011. Purchasers were able to set how much they wished to pay for the bundles and how they wanted their money to be distributed between the games’ developers and two charities: Child’s Play and the Electronic Frontier Foundation. The games in the bundles run on Microsoft Windows, MacOS X, andLinux-based systems and are digitally distributed without digital rights management (DRM) controls. Two bundle drives have been completed to date, breaking over $1.0 and $1.8 million in sales, respectively. A third bundle, for five Frozenbyte games, began on April 12, 2011. As of this posting, over 103,000 of the newest bundle (Frozenbyte) have been sold, leading to over $500,000 for charity and the developers. Three of those some odd hundred thousand bundles are in my possession — and will be given to a few of you lucky MvG viewers. 1. Post a comment on this article at the bottom of the page between now and the end of MvG’s 16 Hour/16 Bit Marathon. 2. Make sure to leave your e-mail address OR your JTV Screen Name so that I have a way to send you the gift certificate for the bundle. No e-mail address or JTV username in comment = ineligible entry. 3. The morning after the marathon, I will randomly select three comments and send them a copy of the bundle at no cost to them. Fun stuff, right? Trine takes place in a forsaken and ruined kingdom. After enjoying a period of great peace, the king died without leaving an heir, plunging the kingdom into political instability. Taking advantage of the chaos, an undead army suddenly appeared and attacked, forcing the inhabitants to abandon the realm. 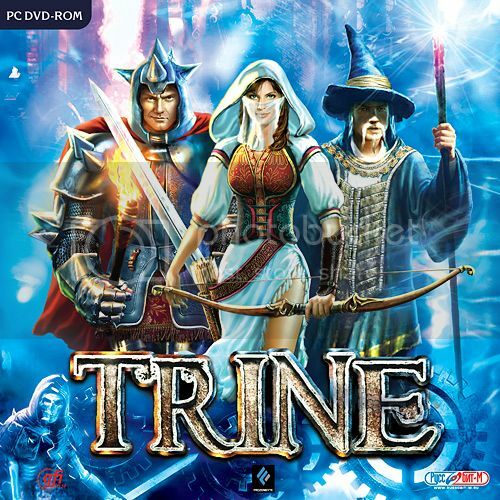 Released in July of 2009, Trine is a side scrolling platformer available for an array of hardware (PC, Mac, XBLA, PSN). In the game itself, the player controls and switches between three different characters (a thief, a knight, and a wizard) to try to complete levels. There is also a cooperative play feature, whereby multiple players can join in at any time to control different characters simultaneously. The game itself was received quite well on its release — earning a 80% average rating on Metacritic and receiving Gamespot’s Editor’s Choice Award of E3 2009. Shadowgrounds takes place on a space colony on Ganymede. Players take the role of Wesley Tyler, who begins as a mechanic tasked with the repair of various systems. After the arrival of the aliens, the player performs a variety of quests until meeting up with the captain, who tells the player to contact nearby planets and ships for help, then to escape. Shadowgrounds uses light and darkness as vital components of gameplay and atmosphere, hence the name. The game is largely dark, and the hero carries a motion scanner and a flashlight with a regenerating but limited power supply (a common gaming trope). There are ten weapons, all with three possible upgrades. Medpacks, weapons and ammunition are found in stores and near dead soldiers. Players explore indoor and outdoor facilities in order to complete a usually linear series of tasks (usually of the “FedEx” or “get to Point B” varieties, though other tasks include disarming force fields, enabling a radio transmitter, or fixing various broken machinery), while clearing the area of a chain of progressively more powerful creatures. Occasionally, other NPCs fight alongside the player, but, especially in the case of characters central to the plot, they are invulnerable and can be left to kill while the player recharges his flashlight or hunts for items. This bundle also comes with the game’s sequel, Shadowgrounds Survivor. The game includes a RPG system for weapons and the game’s three characters, and tells the story of three survivors who join forces with the last remaining human resistance in the heated battle against the ongoing alien onslaught. The last game in the bundle is a prototype version of the Frozenbyte title “Jack Claw”, which no longer remains in development. The bundle includes the most recent coding for the game, and can only be played on a PC machine with a 360 controller. Take note of that when considering playing this game as a part of the bundle. 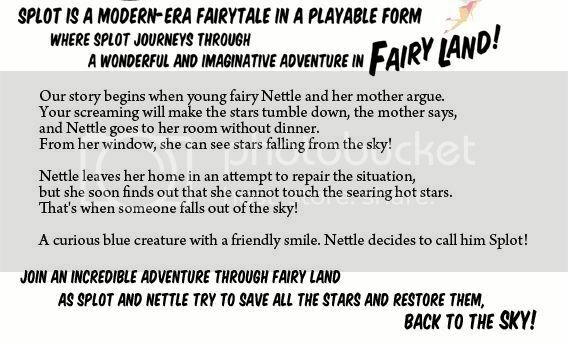 Remember, all you have to do to earn an entry for a Frozenbyte bundle is to post a comment on this article that includes your e-mail address OR your JTV username (and maybe something else constructive too — would be nice!) between now and the end of MvG’s 16 Hour/16 Bit Marathon on Saturday, April 16th. All three winners will be announced here on this page and over my twitter (@DuffmanA), and they will each receive a gift certificate from me that they can use to redeem the games over Steam (or a set of other online game services). Happy posting, and best of luck to all of you! Jtv name is Tacobeast looking forward to the man-a-thon this weekend! dunno what else to say.. Love you all? One of the few that watch you from day 1. More people need to get in on this! Gonna love this marathon! WOO! I just wanna say that I…… who the hell am I kidding JUST GIVE ME A COPY!!!!! Ignore that its just me being stupid, not having my Ritalin and attention whoring about this whole thing. Kappa. But seriously Love you all love been here in this community and even love the haters and trolls since they are giving free advertisement as well. PS: GIVE…. sorry sorry idoit me. MvG is the reason i no longer have cable, MAN is more entertaining to watch! The first channel I followed, the BEST channel I followed… Rock on, MAN. Awesome MANathon so far, gonna be there ’till the end! this was my 3rd cast I watched and it was AMAZING! I did my fair share of blasting this on twitter. I love how much attention the viewers received. Thank you for laughing at my comments, thank you, Zeke, for playing Aladdin. Thank you for an amazing cast. See you Monday. This contest is now over! Congrats to Splashgaming, Jak Constantine, and Steecki for winning the bundles! Thank you to everyone who took the time to read and enter the contest! Splash, check your e-mail for the bundle. Jak and Steecki, check your JTV messages for the bundle.